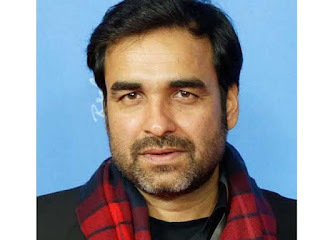 Pankaj Tripathi, who has received rave reviews for his varied roles in films like ' Masaan,' ' Nil Battey Sannata,' ' Dilwale' and others, is achieving milestones in Hollywood. Speaking on the same, the actor said, "My film ' Newton' recently won an award at ' Berlin Film Festival.' I have played a grey shade, i.e of an armed force CRPF commando. Even though I have a grey character, there is also a bit of humor in it." The film also received the 'Best Film' award in ' Hong Kong Film Festival' last week. Apart from awards, it was also premiered in America's 'Tribaca Film Festival' on April 24, 25 and 26. Not only this, his other film, 'Gudgaon' will be screened in the ' New York International Film Festival' on May 2. Tripathi will next be seen in upcoming Bollywood films 'Bariley ki Barfi,' 'Munna Michael.